In the month of Muharram the tragic events of Karbala are re-enacted. This is not normal for the majority of Sunni communities but this is specific for some communities of the indo-paks and the Turks. Yet none go into the detail that the paks do, as others mention it briefly, and not in the agonising detail that is vividly painted for us. To actually understand the events that transpired takes a lot of time and a lot of study. It is a gut wrenching and heart rendering event which fills even the most sternest Muslim heart with grief. The question that the heart begs to be answered is why? Why did they kill the grandson of the Messenger of Allah (may Allah bestow peace and blessings upon him) Al-Hussain (may Allah be pleased with him)? This is something we hope to address. To understand the events that occurred we must look back before we look at the event. After the murder of Ali (may Allah ennoble his face) his son Al-Hassan (may Allah be pleased with him) was given authority, caliphate. During this time of tribulation he sensed that the same forces that had caused the death of both his predecessors might consume the fledgling Muslim community and cause civil war. So he gave up his right to the caliphate to bring peace. This was already predicted by the Prophet (may Allah bestow peace and blessings upon him) said, “My child is a master. Allah shall reconcile two parties from a great sedition by him.” (Imam Ahmed 5/44), this occurred now. Al-Hassan (may Allah be pleased with him) handed over his right to the caliphate to Mu’awiyah (may Allah be pleased with him). This was something that pacified the disputing factions and meant that one side lost their rallying cry. Mu’awiyah had been keen to find the killers of his cousin Uthman ibn Affan (may Allah be pleased with him). The first sect of Islam, the Khawarij, were causing much sedition and tribulation. So when Mu’awiyah passed away Al-Hussain (Al-Hassan’s brother) (may Allah be pleased with him) was keen to assert his right to the caliphate. Yazid (Mu’awiyah’s son) instead asserted his own authority which was dissimilar to the manner that the previous caliphates were declared. As others were voted for by a group of the righteous. So Imam Al-Hussain (may Allah be pleased with him) had a rightful claim. Also due to the fact that Yazid was known to be unrighteous and all previous leaders were righteous. This was something synonymous in the early period of leadership. So this fact alone means that Yazid had no valid claim to leadership. The residents of Kuffans kept writing to Al-Hussain (may Allah be pleased with him) to affirm his right and that they would pledge their allegiance to him. So after sending one of his cousins to oversee the situation in Kufa, he himself went with a small group and members of his family. When news of this reached Yazid he sent Ibn Ziyad to quell this ‘revolt’ which was quelled in the most brutal manner possible. He was sent to either take the oath of leadership from Al-Hussain (may Allah be pleased with him) or to finish his 'rebellion.' What followed would fill every believer’s heart with sorrow for many years to come. Al-Hussain (may Allah be pleased with him), his party and all the males of his offspring were martyred with the exception of Zayn Al-Abideen (may Allah be pleased with him). Zayn stayed behind in Medinah because of illness. Now this is where the story ends for most of the ‘historians’ who re-trace these events on a yearly basis. But the story does not end here. The date of his death is the tenth of Muharram 680. Al-Mukhtar Ibn Abu Ubayd Al-Thaqafi was in prison and when news reached him. He raised an army to avenge Al-Hussain (may Allah be pleased with him). When he would kill one of those involved in the murder, he would send the proof to the martyrs son. The severed heads of the killers of Al-Hussain (may Allah be pleased with him) were sent to Zayn Al-Abideen (may Allah be pleased with him) and then were placed on poles. Snakes would arrive and prod the heads until eventually entering the head by the nostril. This was a fitting end to those who had committed such a heinous crime as kill a grandson of the Prophet (may Allah bestow peace and blessings upon him). Yazid would die a few years later in 683. One of the most regrettable practices of the Ummayyad caliphs was the cursing of Al-Hussain (may Allah be pleased with him) which continued until this practice was ceased by the pious caliph Umar ibn ‘Abdul-Aziz (d.720) (may Allah be pleased with him). You have to understand that leaders commit heinous crimes, just to remain in power and this was no different. The Ummayyads saw his claim as invalid and would continue their revenge with curses. So all the killers who were involved were killed but was this end of the punishment that the tribe of Ummayyad? Yazid died a horrible death but the punishment was still due. In this time much talk of rebellion was banded about and this occurred when the Abbasid Empire came into power in 750. They enacted the final revenge upon the tribe of Ummayyad. They killed every single member of the family of the Ummayyad tribe and the only one to escape was Abdurrahman Al-Dakhil (d.788). He was known to be pious and extremely generous and he was the only person to survive the slaughter. He would flee to Al-Andulus (Spain) and make a new home there. 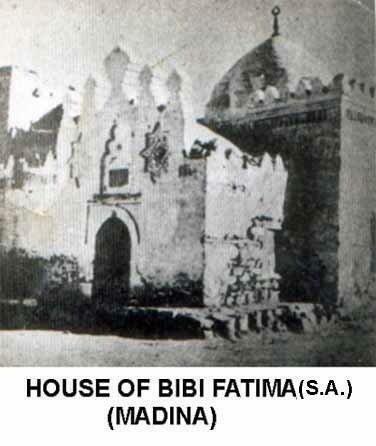 The Ahl Al-Bayt were persecuted under the Ummayyads and the Abbassids. The change of leadership had not achieved anything. Now, that we have taken the events in context and looked at the entire picture we see a sad event but it was not without its consequences. This is something forgotten when we arrive at the month of Muharram. Ponder these facts closely and you will see that Al-Hussain (may Allah be pleased with him) was avenged in such a manner that left little doubt to who did it. Harming the offspring of the Prophet (may Allah bestow peace and blessings upon him) has dire consequences and this was a total revenge. These points that we have explained you will not find mentioned by any of the speakers during this month. Instead you’ll find two types of speakers about this event. One that considered Al-Hussain (may Allah be pleased with him) as a rebel and another that considers him as a hero. The group that consider him a rebel have yet to understand that he was making a stand for justice and Islam. Yazid never had any rightful claim to leadership, ever. Nor was he (Yazid) a valid leader at the time. Imam Al-Hussain (may Allah be pleased with him) had more right to lead than anyone else. This event caused what would become the group known as the Shia – the party of Ali (may Allah be pleased with him) to break off from the Sunni’s and form their own sect. At this point they were a political party and in favour of Ali ibn Abu Talib (may Allah be pleased with him) and his offspring. This event would lead them to more radical and extreme tendencies. In the indo-pak communities this event is brought out each year in some misguided love towards Ahl Al-Bayt which basically translates as the shouting of old men in Masjids around the country. This is what some consider as a sign of love towards them and the Messenger (may Allah bestow peace and blessings upon him). This is something that looks ugly and its causes some people to make takfir (declaring a disbeliever) of Yazid. The soundest position of takfir of Yazid is not to involve yourself out of caution. (See Dohw Al-Maali p,133). The reason for this is based on two things. Did Yazid gave the command to kill Hussain or to take bayah alone? This does leave some doubt and for this reason many scholars have refrained from cursing him but you will find prominent scholars who curse him. There is no doubt that Yazid was an open sinner (because he was known to drink excessively) and had no right to rule. That is putting it mildly! Yet this event is manipulated by the speakers during this period. The massacre at Karbala is one of the most shocking tales in Islamic history and it leaves a person cold. It is almost impossible to comprehend. How could they do it? Why did they do it? Are just some of the questions that are banded about. It is not something that I would like to re-live every year as reading it once a lifetime was extremely difficult. I do think that this event should not be used in such a visceral and agonising way, by week long television shows dedicated to this subject. This is exactly what made me put pen to paper because one of my friends commentated on how I had explained something to him in five minutes what he had not got in a week’s worth of television programs on this subject. That was more than a shock but perhaps to be expected. As its a sign of manipulation not respect. Re-living trauma is not good for you and not good for children. Explain to them briefly but not in detail. Childhood trauma can lead to greater harm in the future. The Habaib - the Ahl Al-Bayt scholars of Yemen are also not comfortable with people using this issue to illicit emotions and manipulate people. This is done by none more so that the Shia and some Sunni's. We find this story difficult to comprehend at times and sometimes find it difficult to think about. We would like to see this event commemorated but in a rational and normal manner like the rest of the Muslim world. We do not mean to offend people but we really need to look how we manipulate people’s emotions because this is plainly wrong. If we really want to practice love towards the Ahl al-bayt them we should honour them instead of using the murder of one of forefathers as an event that we rally around them once a year and spend the rest of the year opposing them. Imam Al-Hussain (may Allah be pleased with him) shall forever be remembered as someone who was uncompromising in his stand for justice. This stand for justice is one of the reasons why Imam Al-Hussain (may Allah be pleased with him) is one of the masters of paradise. Yet, how sad is that this martyrdom is manipulated in an inappropriate manner that increases grief and sadness. These are not part of the events and neither should they be. His killers were killed and they did not escape punishment nor would they. The main point of this event is that real Sunni's should support Ahl Al-Bayt and when they go against them then they join Yazid's army. There are many adherents to Yazid's army in this time. They go to Muharram gatherings weep during it and attack, slander and oppose Ahl Al-Bayt the very next day. There is no respect for Ahl Al-Bayt left because there is no respect for Muslims left. I am talking about corrupt 'sunni's' here. The Shia have of course gone to the extreme of bodily harm during the commemoration of this event. One of my friends father once said they should not harm their shoulders and backs; they should slit their throats instead! You see that would be more effective than what they are doing or so he claimed. Even within the Shia they disagree about self harm and of course Sunni Islam totally rejects self harm in any circumstances as unlawful/haram. We need a balanced mind and we do not go to extremes because the extremists are not just those who murder innocents they are those who see only one valid interpretation of events. Imam Hussain and Imam Hassan (may Allah be pleased with them) never cursed or even slandered those who were responsible for their own fathers martyrdom but those who claim to follow them curse people? Its just another lie, if you love someone then follow them. Their way was truth and justice. Not excess harm towards yourself or others and certainly not cursing others. We hope that this a balanced re-telling of the events that allows people to look at the entire event in the light of history without being boxed into one part of the story and wondering about its ending. May Allah bless our master Muhammad, his family, his companions; an endless blessing and endless salutations. Sheikh Yusuf Al-Nabahani (may Allah show him mercy) is one of the greatest scholars of Islam and we drew heavily from his work on Endless nobility of Ahl Al Bayt.